Scientists in Cambridge and London have developed a catalogue of DNA mutation 'fingerprints' that could help doctors pinpoint the environmental culprit responsible for a patient's tumour—including showing some of the fingerprints left in lung tumours by specific chemicals found in tobacco smoke. Our DNA, the human genome, comprises of a string of molecules known as nucleotides. These are represented by the letters A, C, G and T. Sometimes, changes occur in the 'spelling' of our DNA—an A becomes a G, for example. These changes, known as mutations, can be caused by a number of factors, some environmental, such as exposure to tobacco smoke or to ultraviolet light. Previously, scientists have had only a limited number of tools for working out the cause of an individual's tumour. As it is now possible to study the entire human genome very rapidly, scientists have been able to find all the mutations in a patient's cancer, and see patterns—or 'mutational signatures' - in these tumours. Now, in a study published in the journal Cell, a team of researchers from the University of Cambridge and King's College London have developed a comprehensive catalogue of the mutational signatures caused by 41 environmental agents linked to cancer. In future they hope to expand it further, using similar experimental techniques, to produce an encyclopaedia of mutation patterns caused by environmental agents. "Mutational signatures are the fingerprints that carcinogens leave behind on our DNA, and just like fingerprints, each one is unique," explains Dr. Serena Nik-Zainal from the Department of Medical Genetics and MRC Cancer Unit at the University of Cambridge, who led the Cambridge Team. "They allow us to treat tumours as a crime scene and, like forensic scientists, allow us to identify the culprit—and their accomplices—responsible for the tumour." The researchers exposed induced pluripotent stem cells—skin cells that have been reprogrammed to return to their original, 'master' state—to 79 known or suspected environmental carcinogens. 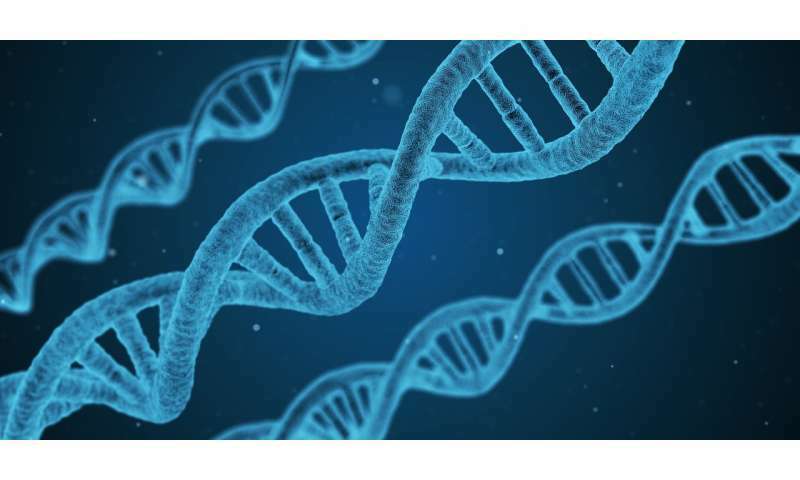 The team then used whole genome sequencing to look at the patterns of changes caused by the agents and found that 41 of the suspects left a characteristic fingerprint on the stem cells' DNA. "We've used this technique to create the most comprehensive catalogue to date of the patterns of DNA damage produced by environmental agents across the whole human genome," explains Professor David Phillips, who led the King's College London team. "It should allow us to examine a patient's tumour and identify some of the carcinogens they have been exposed to that may have caused the cancer." "Our reference library will allow doctors in future to identify those culprits responsible for causing cancer," adds Dr. Nik-Zainal. "Such information could be invaluable in helping inform measures to reduce people's exposure to potentially dangerous carcinogens."